If you are planning to work in the UK construction industry you must hold a CSCS card. But what is a CSCS card and how can you get one? CSCS stands for Construction Skills Certification Scheme and is the leading skills certification scheme within the UK construction industry. Since the 1990s the CSCS maintains a database of individuals working in the construction industry who are up to the required standards. CSSC is a non-for-profit organisation set up by the Construction Industry Training Board (CITB) to raise standards within the construction industry. Since the 1990s the CSCS keeps a database of those who have achieved the required set of qualifications to work in the UK construction sector. The CSCS card is issued as a proof of achieved required standards in order to be demonstrated to UK employers within the construction sector. Holding a CSCS card shows that the holder is considered competent in his/her job in the UK construction sector. Almost all employers these days require that you hold a CSCS card prior to allowing you on their sites. The CSCS card in addition to relevant qualifications is the proof that you have passed the CTIB Health, Safety and Environment test. This alongside relevant qualifications is a proof that you are considered competent in your job. There are a variety of different CSCS cards that are used to identify a particular individual and provide information about their skill set and training and you need to select the right one for your job or activity. These are colour coded depending on what area you are working in, whether you are a supervisor, apprentice or supervisor. Anyone visiting construction sites regularly, even if you are not qualified, should have a card identifying them. The cards will have your picture on them and a panel with your designation such as labourer, skilled worker, advanced worker or advanced craft. There is also a registration number and expiry date. The key part for employers is the smart chip that holds information about your qualifications and suitability for a particular job. Since the CSCS card was first introduced in the mid-1990s, the standards of safety have greatly improved on construction sites. The new smart cards available allow for more information to be contained digitally. That means supervisors can check identity and qualifications on site with the help of a card reader or mobile device and workers can easily demonstrate their competence without having to carry around paperwork. This is for workers who have a basic level of skill and will include labourers and construction site operatives. It is valid for five years and requires the holder to have the CITB Health Safety and Environment Test in addition to other qualifications such as QCF Level One Health and Safety in a Construction Environment. 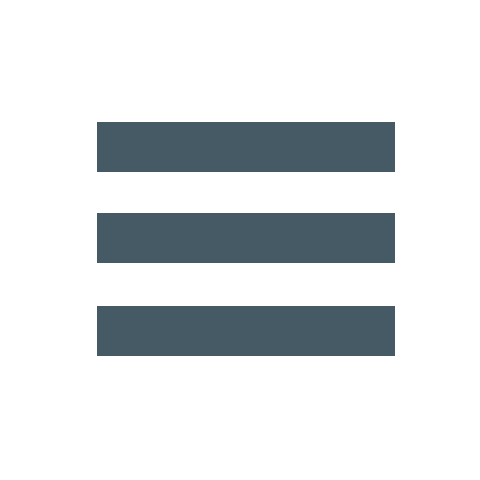 This is used for a range of operatives, including those on apprenticeships and trainee crafts persons as well as management trainees. The type of information held on the card and the title on it will vary depending on the area you are working in and your level of experience. For example, supervisors and managers who have a good deal of on the job experience but who are currently achieving a construction related NVQ or SVQ. If you are a skilled worker and have achieved your NVQ or SVQ for the industry you are in, you will be given a blue card. The card remains valid for five years and you have to also take the CITB Health Safety and Environment Test. This is for highly skilled or supervisory workers. For example, skilled construction workers will have an NVQ Level 3 or equivalent or completed an approved apprenticeship. The card is valid for 5 years. As with other card types you will need to have passed the CITB test. 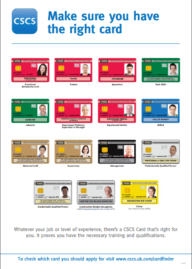 There are a few other kinds of CSCS card including the black card for managerial staff and the white/yellow card for professional or academically qualified people, each with their own parameters. Yellow cards are issued for regular site visitors, irrespective of the skill or experience they have.